The 'Parkhive' app is here! start exploring new areas of your city today! 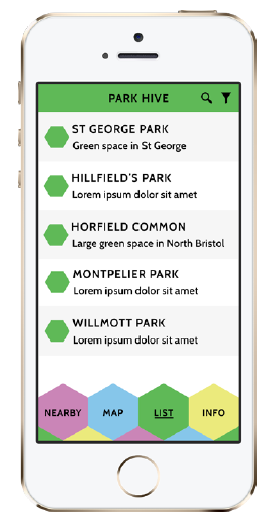 Working alongside Calvium, the award-winning app building company, and Bristol Parks Forum volunteers, we have created an app containing 200 of Bristol’s parks and green spaces, which not only showcases these spaces, but actively enables Bristol visitors and locals to find and explore them within the city. This project has come about after a response to the changes in local authority funding for parks and green spaces which is currently being described as a ‘crisis’. As part of the wider project involved with Bristol Green Capital 2015, this app will be promoted by our very own Destination Bristol and will work on both the domestic and visitor economy. This app will not only increase the number of visitors in the city but will also help local Bristol residents to identify and find out more about their local parks and green spaces. 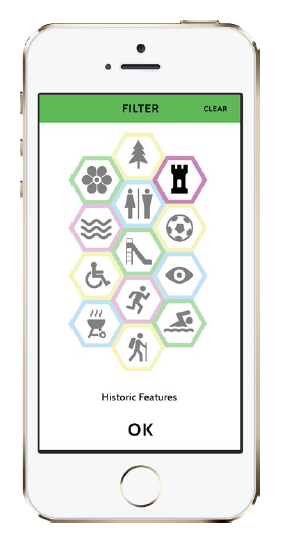 Through the use of App Trails, the user will be able to find out more about local walking routes, features, wildlife and much more in the outdoor spaces in their local areas. We have worked closely with members of the Bristol Parks Forum throughout to create a coherent, colourful and interactive overview of the vast range of parks and green spaces within the city and together we will work with partners to develop potential sponsorship opportunities for these valuable outdoors spaces to find and develop new solutions to support care and improvements. Our aim is to cover every single park and green space in the city, with links to each personal friends group and provide information on how to create your own. opportunities to engage with nature, explore and discover. Showcase parks and green spaces nearest to the user with ‘enhanced content available’, e.g. individual stories about specific sites, co-created by local people and BPF volunteers working with media professionals. GPS search for ‘my nearest park/green space’ with ‘specific characteristic’ e.g nature reserve/quiet space/children’s play area. Allow users to walk between parks and green spaces within the city, following routes and trails which highlight the city’s green credentials and/or provide an easy-going meander through some of the city’s better and lesser-known neighbourhoods. Help users find out about events happening in parks and green spaces near them throughout the year. Give information about out how to become a friend of your nearest park. Provide links to the local parks groups website for further local information.